Inspire students to learn about Japanese culture by making fun windsocks! 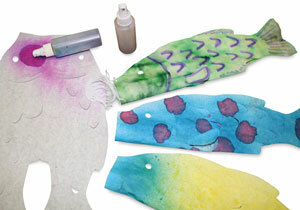 These windsocks can be decorated using watercolor diffusing techniques or almost any medium. Just add a string and hang for a colorful display. Each pack contains 24, 6” × 10” paper windsocks and an idea sheet.